W. W. Norton & Company, 9780393239348, 336pp. When it came to hunting, she was a master shot. As a dress designer, few could compare. An ingenious architect, she innovated the use of marble in her parents' mausoleum on the banks of the Yamuna River that inspired her stepson's Taj Mahal. And she was both celebrated and reviled for her political acumen and diplomatic skill, which rivaled those of her female counterparts in Europe and beyond. 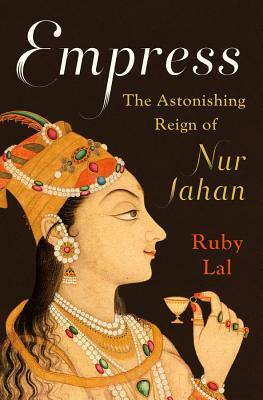 Acclaimed historian Ruby Lal uncovers the rich life and world of Nur Jahan, rescuing this dazzling figure from patriarchal and Orientalist clich's of romance and intrigue, and giving new insight into the lives of women and girls in the Mughal Empire, even where scholars claim there are no sources. Nur's confident assertion of authority and talent is revelatory. In Empress, she finally receives her due in a deeply researched and evocative biography that awakens us to a fascinating history.